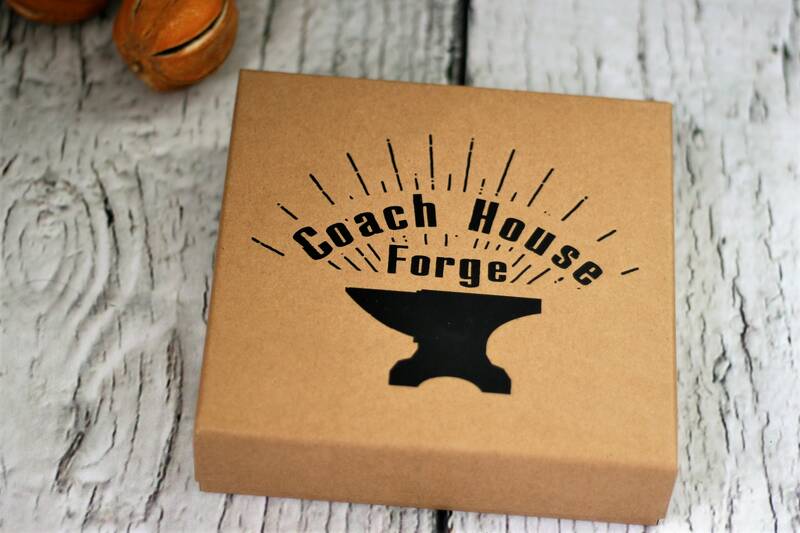 Designed and individually hand made here at the Coach House Forge, these unique bowls are a beautiful fusion of Iron and Copper. 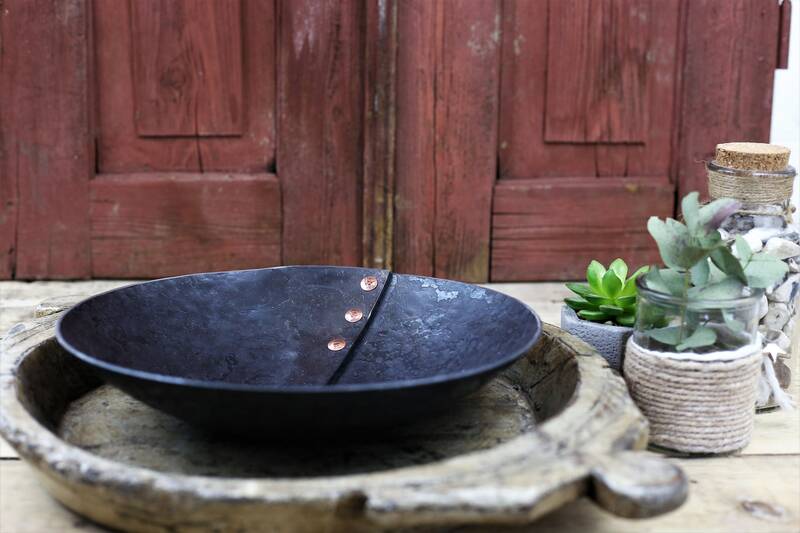 Each Bowl is formed by repeated heating and hammering using traditional skills and tools. No two will ever be alike, the subtle differences brought about during the forging process - that's the beauty of hand made work. 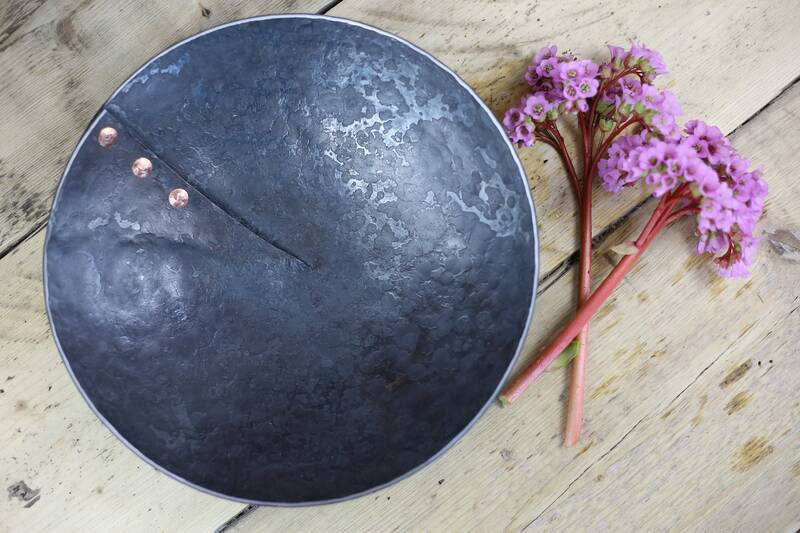 The metal has been cut with a chisel, whilst red hot, and forged into shape with great care and patience. 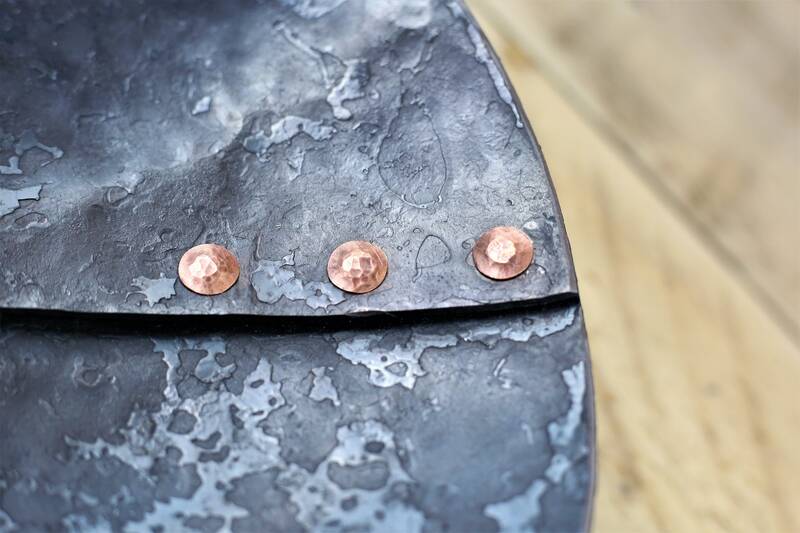 The cut ends of the Bowl have been overlapped and re-joined using 3 solid copper rivets. 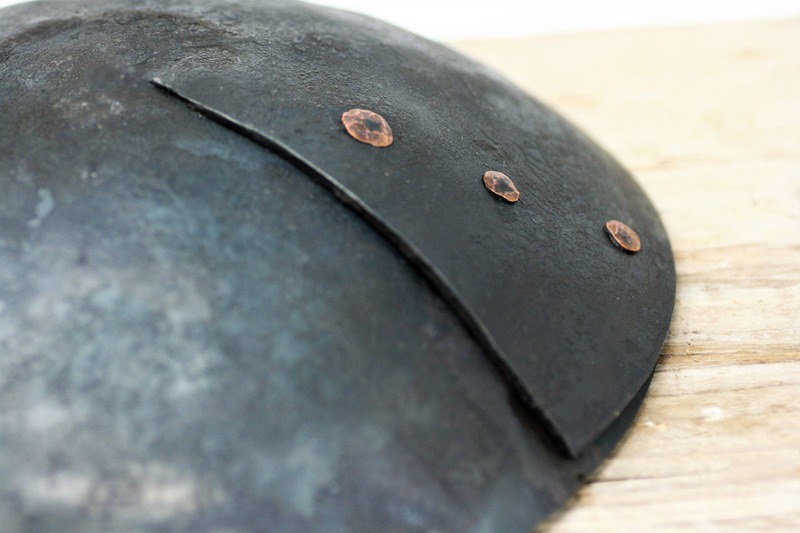 The hammered rivet heads measure approx. 12mm (1/2") in diameter. 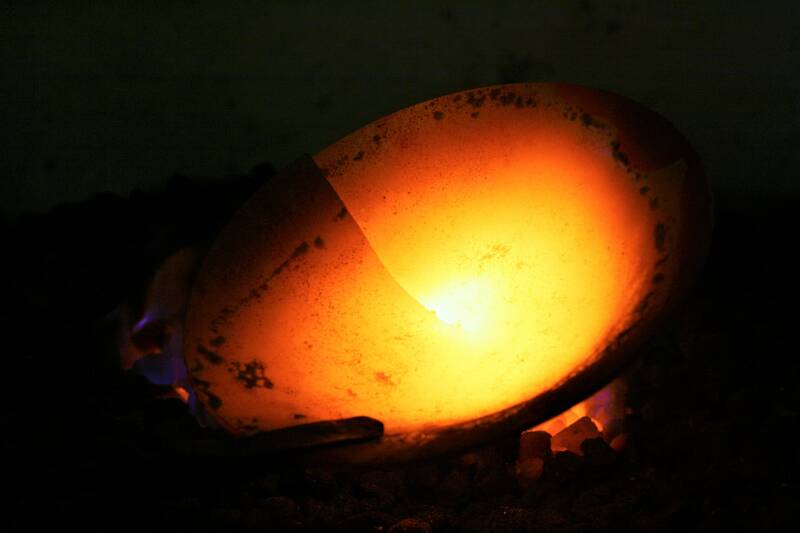 The Bowls are then left in the red hot forge for some time - this develops the unique patina on the surface of the metal. Once cooled, they are treated with several coats of 'Renaissance Wax' to create an attractive and protective finish. 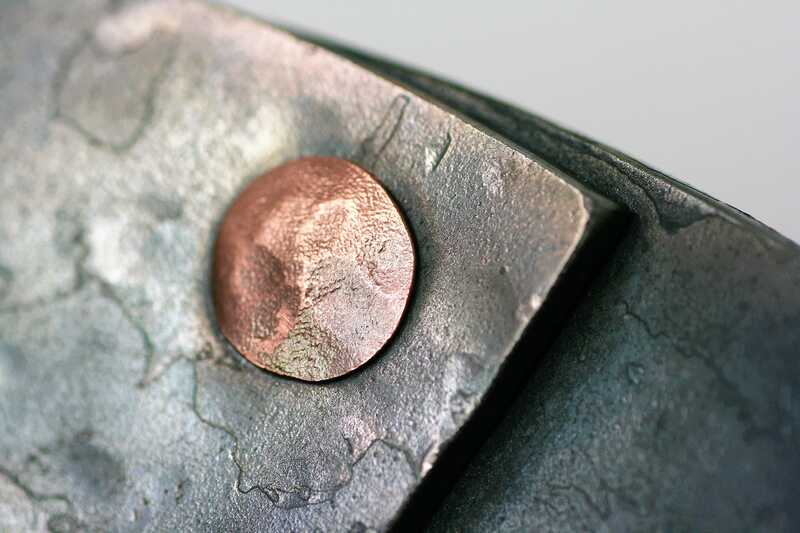 The real beauty of the iron and copper shines through. 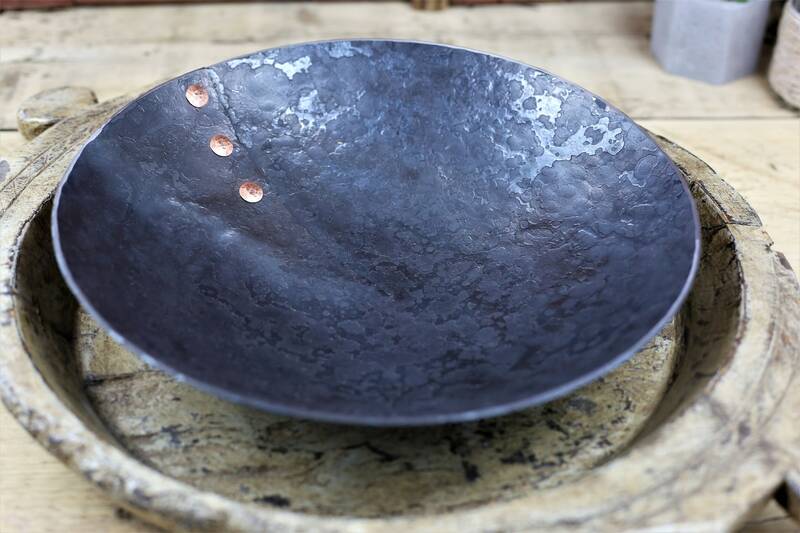 Each Bowl is 'signed' on the base using the Coach House Forge touch mark. 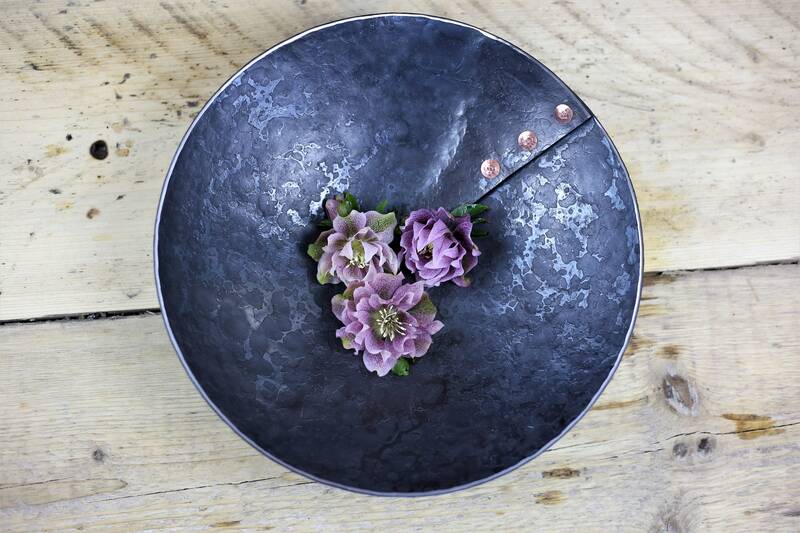 We can make this Bowl extra special for you - Your bowl can be personalised to create a totally unique gift - We can hand stamp up to 10 numbers / letters on the underside of the Bowl. Maybe a special date, initials or name - Please leave your requested text in the 'Personalisation' box at checkout. 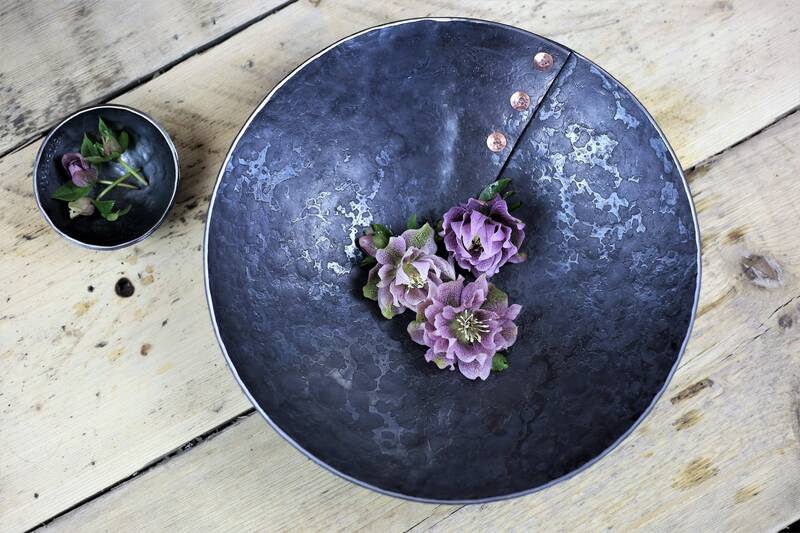 Each Bowl is shipped in a presentation box, ready for gifting. Current making times are 5-7 Business Days.